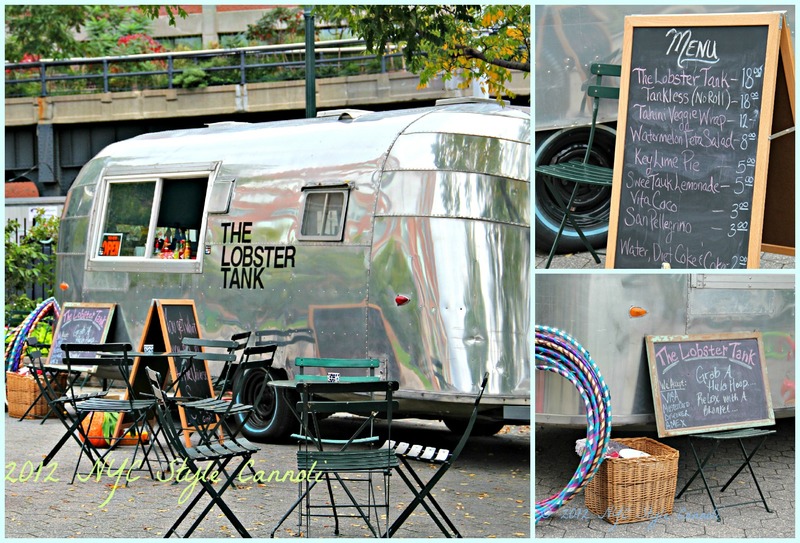 Photo Gallery Thursday "The Lobster Tank"
The Lobster Tank was a fun find while we were leaving the Le Taste of France in September. This is a PERFECT example of walking in NYC, finding something extraordinary. Lobster being served out of a 1957 Airstream with blankets, music and hula hoops provided for your pleasure! How cool is that? A Tahini Veggie Wrap ($12) Watermelon Feta Salad ($8) Key Lime Pie ($5) are some of the other items on the menu. The Lobster Tank is open Monday through Wednesday from 11 a.m. to 7 p.m., and Thursday through Sunday from 11 a.m. to 8 p.m. Their website states they are closed for the winter but will re-open in the spring. I highly suggest you make a visit when they re-open. If you are a lobster lover, that is! Sounds like my perfect place to stop and eat.